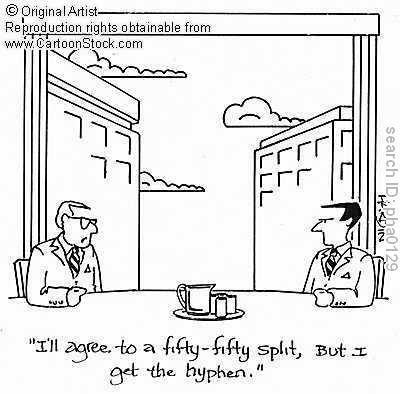 Learning Goal: Understand and use the hyphen correctly in your writing. ﻿Whew, that's the last Daily Grammar lesson! So... what next? Well, this is "tool sharpening" remember. So, be sure to review the lessons you struggle with most as you move forward with your literacy-filled lives. You can't avoid writing, so why not be good at it?